The latest and good news is that in 2019, Realme 2 Pro is getting offers you to install latest version Realme 2 Pro LineageOS 15.1 with the same android Oreo version 8.1. 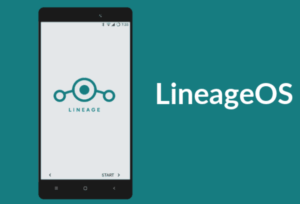 I hope this guide will help you to install the latest unofficial LineageOS 15.1 for Realme 2 Pro. Lets know about the feature and specification about Realme 2 Pro. Realme 2 Pro has launched in September 2018 with the latest android version 8.1 oreo. It was the first handset which came with the green light for bootloader unlocking function and some extraordinary specifications under a pocket friendly price tag. It has a fiber glass body with a shiny diamond cut effect on the back. There are 15 curve planes cut on to the back panel which reflect light in different ways. The body attracts plenty of marks and fingerprints. It has 6.3 inch full HD+ display with Gorilla Glass3. It has rounded edges and fairly slim bezels all around. It supports dual 4G with Volte, Wi-Fi, Bluetooth and all other connectivity. It has dual 16+2 MP rear camera and front 16 MP single cameras. It has equipped with QUALCOMM snapdragon 660 which support 4 GB RAM and 64 GB Internal storage, 8 GB RAM and 128 GB Internal Storage. It consist 3500mAh battery which quickly full charge within 90 mints. First of all, make sure to download and move all the above required ROM packages on your Realme 2 Pro Internal storage. Now wipe the cache, data, and system before flashing the Lineage OS 15.1 on Realme 2 Pro. That’s it! Reboot and enjoy! Now you can flash the Gapps zip file in the same method. That’s it! Once you have flashed, you can enjoy the Lineage OS 15.1 based on Android Oreo.